CCP real estate acquisitions division sources and provides institutional grade investment opportunities in commercial real estate. We have assembled a team of top industry talent and developed a strategy to take advantage of a “generational opportunity” in the commercial real estate market. Our approach will give individual investors access to investment opportunities that are typically reserved for well capitalized institutions. We have created our platform to invest in institutional grade commercial real estate properties located in the Mid-Atlantic and the Southeastern United States. Each acquisition will be in a specific asset entity through a limited liability company. Each of these entities will be directly managed by CCP, LLC. Investment objectives are capital preservation, income generation, and capital appreciation through highly selective acquisitions of income producing properties so that they may be leased and re-positioned to create stable cash flow streams coupled with upside value creation for our investors. Investments will be focused in office, office- flex, and industrial properties. Investment opportunities will be sourced from eight focus markets. “Best in Class” brokers from Philadelphia/New Jersey, Hampton Roads, Richmond, Raleigh/Durham, Nashville, Charlotte, Greenville, Jacksonville, Charleston, and Tampa will source a select pipeline of investment opportunities. The managing partners of CCP have over 75 years of combined experience and a track record of successful commercial real estate investments. The accounting firm of KPMG will prepare year-end tax returns including K-1’s for the individual investors. Mid Atlantic and Southeastern U.S. footprint with transactions in Virginia, North Carolina, Tennessee, Pennsylvania, New Jersey, South Carolina, and Florida. Multi-tenant Office, Office- Flex, and Industrial properties with diverse tenant mix, positive cash flow, and staggered lease expirations to minimize downside risks. Philadelphia/New Jersey, Hampton Roads, Richmond, Raleigh/Durham, Nashville, Charlotte, Greenville, Jacksonville, Charleston, and Tampa. Purchase price at significant discount to replacement cost. 65% – 85% occupancy rate per property with an opportunity for attractive NOI growth. Average cash on cash yields of 8 -12% with 60 -75% leverage. Realistic target Internal Rate of Return (IRR) of 15 -18% with current cash flow emphasis. Strategic relationships with the most talented brokers in the industry to source opportunities. Demonstrated ability to achieve value creation through a strong focus on management and leasing. Strong focus on tenant relationships and retention with average renewal ratios above 75%. 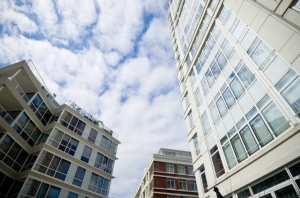 Our expertise enhances capital and leasehold improvement plans. Track record of stabilizing assets through value add lease-up strategies. The following is presented as an executive summary of the key investment terms for a standard investment offering by CCP, LLC.The Investment: In specific property asset Limited Liability Companies or Limited Partnerships. The Manager: CCP, LLC. a Virginia Limited Liability Company. Term: The Manager anticipates that the life of an investment to be approximately 5 – 7 years, but may less or extended by Manager at its sole discretion. Related Party Fees: Developer Fee –3% of acquisition cost of property less than $15 MM or 2.5% for greater than $15 MM or more. Asset Management Fee – 2% – 2.5% of gross rental revenue.